I have already done one interview with a local. When I travelled to Ecuador, I met Jaime, a tour guide from Cuenca, with whom I spent an amazing day in the Cachas National Park. Now that I have moved on to Colombia, I got the chance to meet more amazing people. Colombia is one of the most interesting countries in South America. 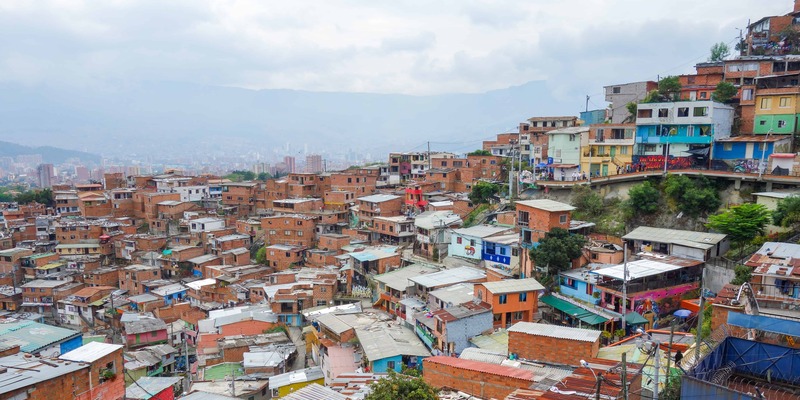 Not long ago, it was completely off limits to tourists and Medellin was labelled as the most dangerous city in the world. It is unbelievable how much this country has changed. When I came here, progress was visible everywhere. From public libraries and free wifi at every corner to the creation of small businesses, it is obvious that Colombia has come a long way. And it is not just the country itself. I also met very progressive and inspiring people. One of them is Juan from Medellin. He was our tour guide and was nice enough to agree on doing an interview with me. Hello Juan! Can you tell us a little bit about yourself? You said you were born in Medellin. Did you live here all your life? Yes, I was born here. I went to US for 5 years and then I came back to Medellin 12 years ago. What made you move back to Colombia? In the beginning everything was new and it was fun to get to know the USA. I travelled to other cities and got to see them. But then, the last year, I started to feel lonely and depressed. I had worked at clubs and partied a lot and all my friends were not my real friends. I realized I needed my family and also to have proper friends. What made you become a tour guide? The need to be around people, the desire to travel and the wish to use my English as my tool to work. What kind of tours do you enjoy doing? What kind do you enjoy less? 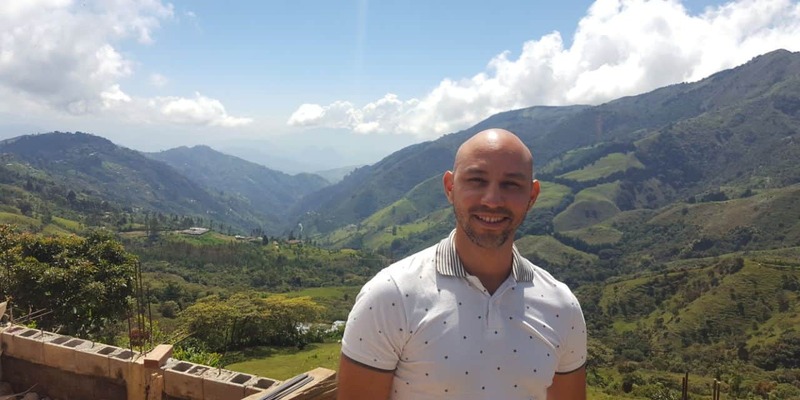 I enjoy doing tours that show the beauty of my city and my country, like coffe tours, or going to the surroundings of Medellin. 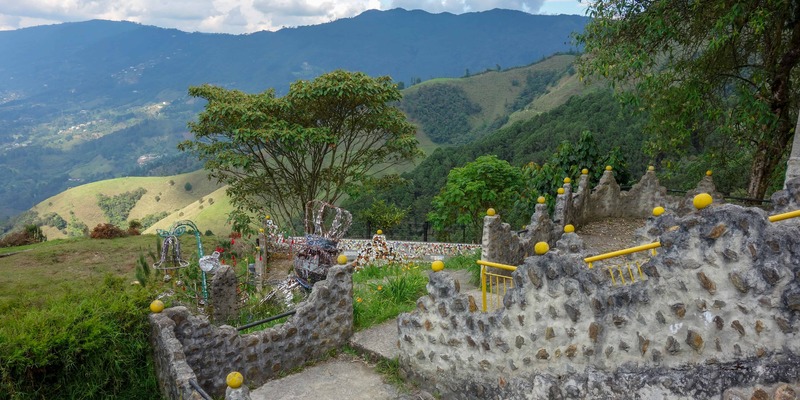 The Rock of El Peñol or Cisneros at the Northeast of Antioquia, where our old rail road is located, are fun trips to take. There, we could get in clear waters surrounded by huge rocks. I also enjoy any tour that would include horse back riding. Our Pablo Escobar tour is good to teach people about him, but only if its goal is that such events will never repeat themselves. It should not glorify the killing of my people. What is the reason you don’t enjoy the Pablo Escobar tours that much? Some people want to glorify him and turn him into a hero. And he is just the product of our violence and the corruption of our leaders. What is the most difficult part about being a tour guide? To manage all situations. Costumers that get sick are a challenge, or also costumers that want to drink alcohol and get drunk. Also, it is difficult to deal with danger in any way. Let us talk about your future. You mentioned some exciting things to me. What are you plans for the future regarding your job? I am building a cabin close to Arvi Park and I am planning to provide a tour by metro, cable car and on horses. That way, we can get to see the ancestral walking paths that the Indians left to us. 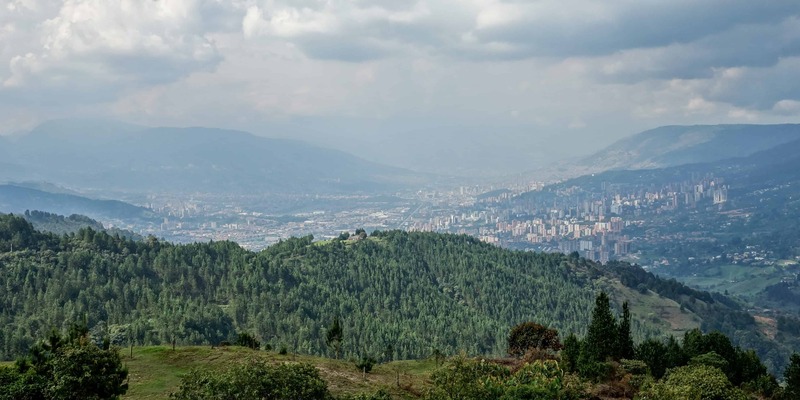 Medellin is an exciting city with lots of things to do. What are three places or activities that visitors should not miss? What are your favourite three places in Colombia? Medellin, Santa Elena, Tayrona National Park, Salamina Caldas during their amazing night of fire on the 7th of December and many others. 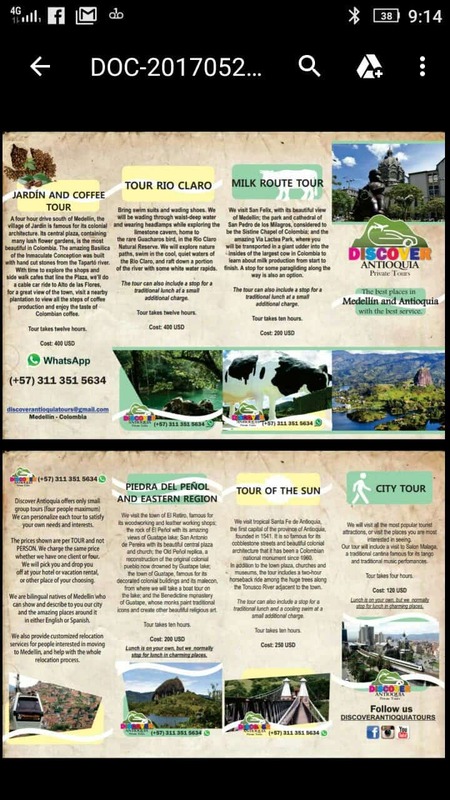 If you would like to know more about the tours that Juan offers, you can find his brochure including his contact information here. It’s lovely to see the country through a local perspective. 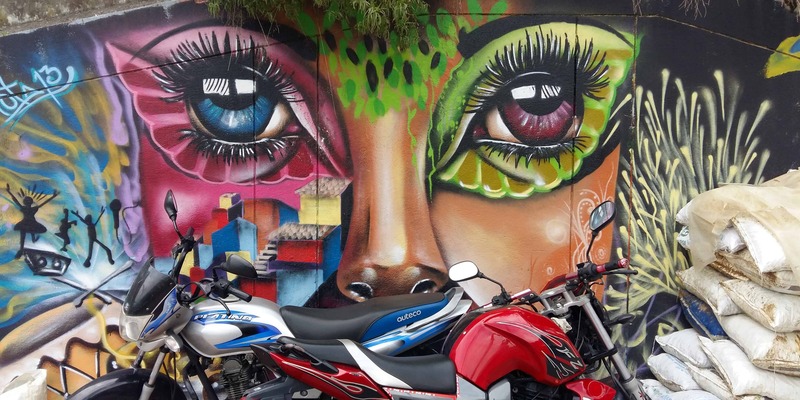 We’ve had South America on our radar for a while now, and I’m enjoying getting an itinerary together. All I’ve read of Medellin means it is most definitely on that list, and Juan’s recommendations have been duly noted. Medellin is an amazing city. It is not very pretty at first glance, but there are lots of things to do. Where else in South America are you planning on going?